Nature is reporting that pharmaceutical giant GlaxoSmithKline is striking back at those critics who are claiming that their anti-aging pills do not work. The company is hoping that their recent report published in the Journal of Biological Chemistry will quell debates over whether the drugs activate a key anti-ageing protein called SIRT1. It's worth noting that the authors of the study mostly work for their subsidiary company, Sirtris Pharmaceuticals, who are based in Cambridge, Massachusetts. Sirtris had been working on compounds that activate SIRT1 and their initial efforts yielded promising results, prompting London-based drug giant GSK to buy the company for US$720 million in 2008. The drugs are thought to mimic the effects of the red wine component resveratrol. Even at that time, a team led by Matt Kaeberlein, a biochemist at the University of Washington in Seattle2 questioned whether resveratrol directly activates SIRT1, which is involved in the anti-ageing effects of dietary restriction. Their experiments showed that resveratrol activated SIRT1 only when a fluorescent molecule used to gauge its activity was present. Scientists at biotechnology company Amgen in Thousand Oaks, California came to a similar conclusion last year. That critique resurfaced this year when scientists at Pfizer in Groton, Connecticut, raised a similar question over SIRT1-activating compounds being developed by GSK4. 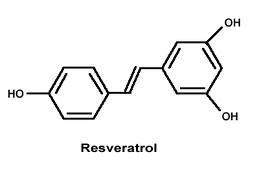 GSK says that these compounds are more potent than resveratrol at activating SIRT1 and therefore more useful as drugs. "The papers did a lot of damage to a lot of people," says Ross Stein, a scientist at Sirtris and lead author on the company's new rebuttal.